This top floor penthouse apartment has been especially designed with the help from Schüco and Saint-Gobain to achieve a minimalistic design. 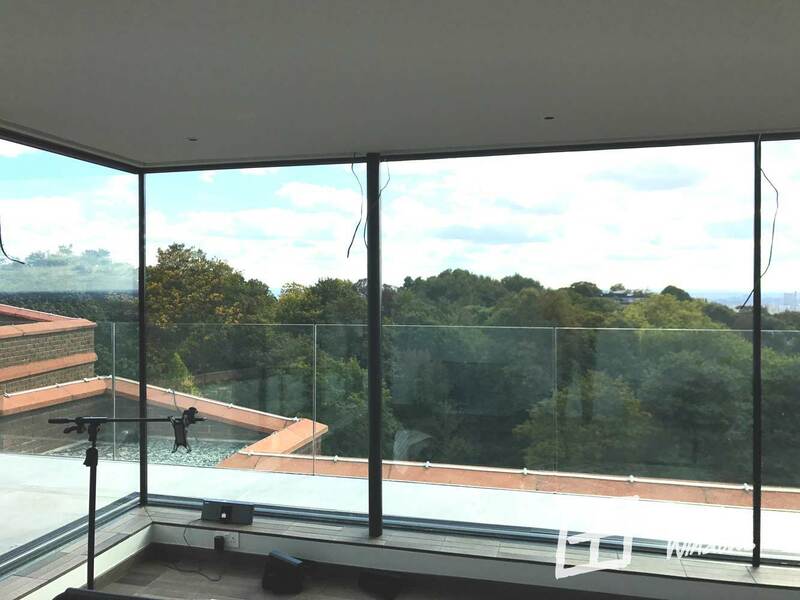 The modern, minimal but cosy feel of the apartment located in the heart of popular Hampstead Heath, sports stunning panoramic views of London and an abundance of natural light thanks to large glass panes. 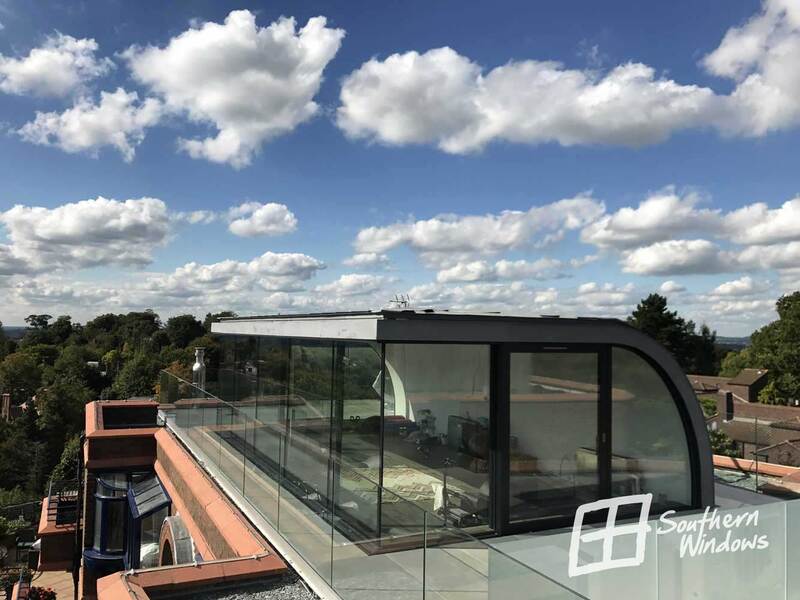 An upper terrace is accessible from the study room below. 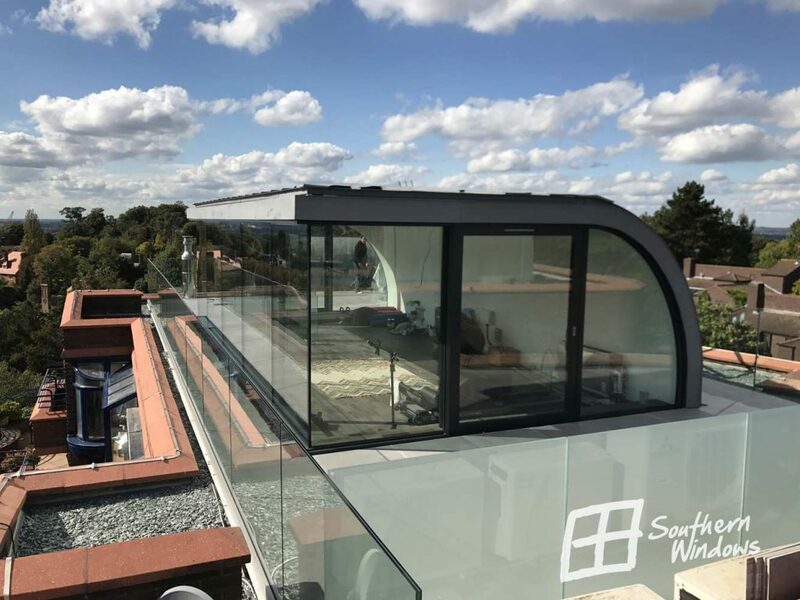 A new glass and steel staircase connects this level with the open plan living area below. 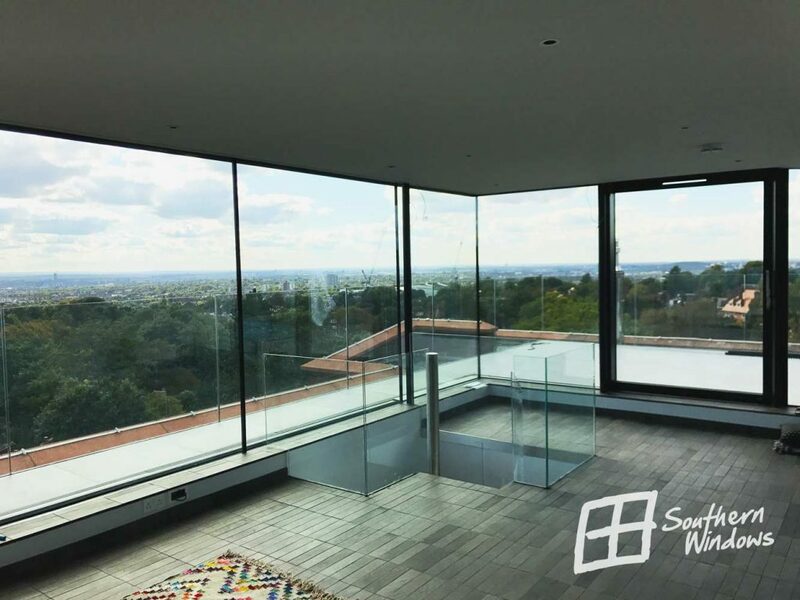 Light pours in to this top floor panoramic room, however the privacy is still maintained without compromising on its splendour. 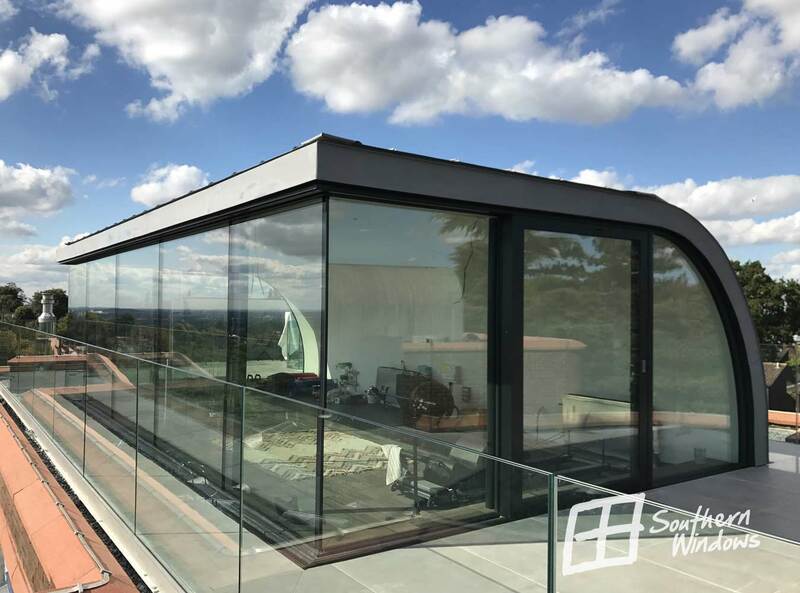 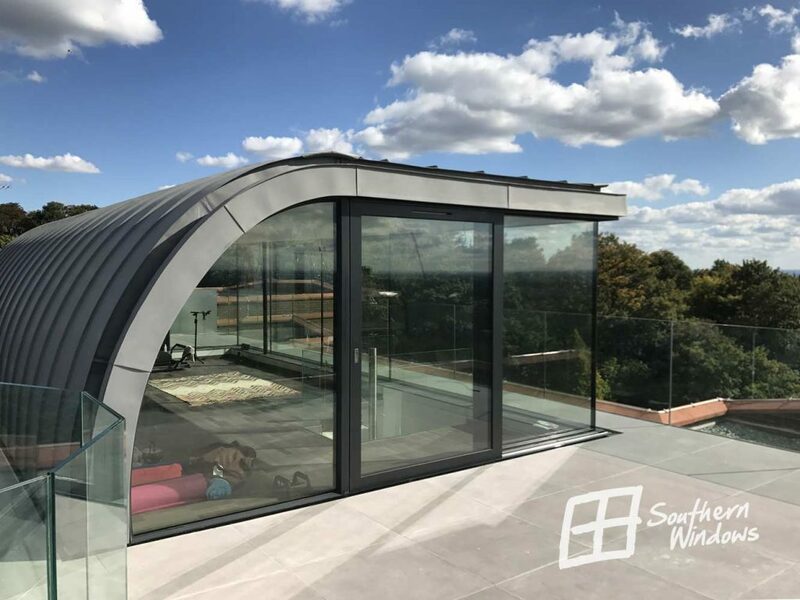 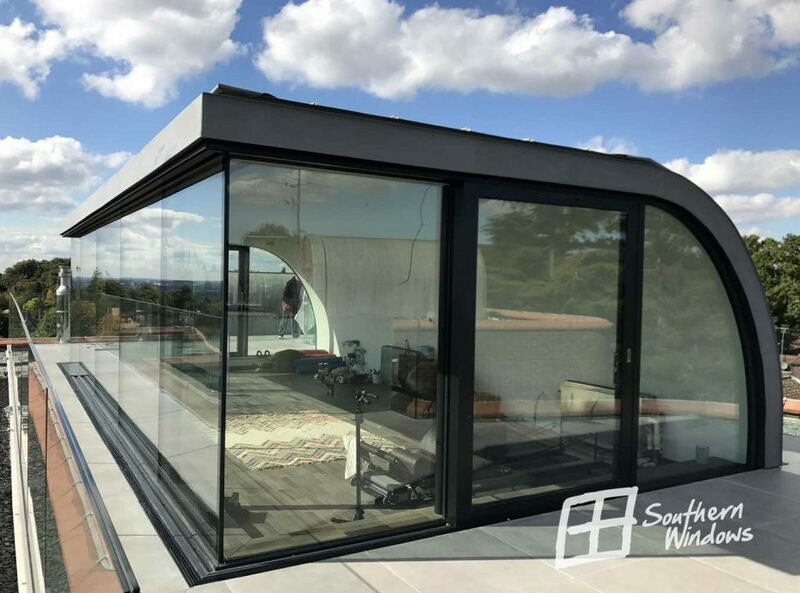 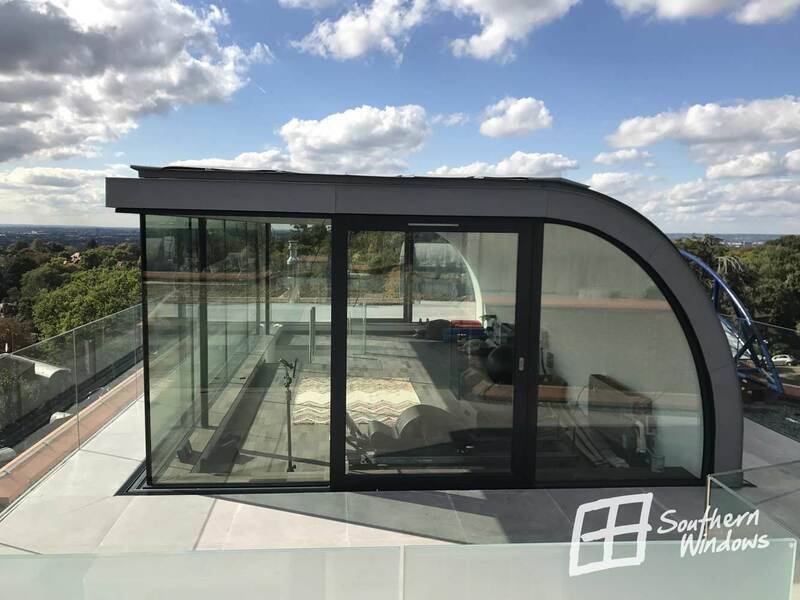 Fantastic thermal performance has been achieved by incorporating excellent German engineering of the sliding patio doors and sophisticated glass technology.